Any boost in transport spending should focus on fixing existing transport and on local schemes, ahead of big, ‘totemic’ projects, campaigners have said. The Campaign for Better Transport (CfBT) has produced a briefing arguing that ‘a “fix it first” approach would better serve the economy than the big projects usually favoured by politicians and commentators’. 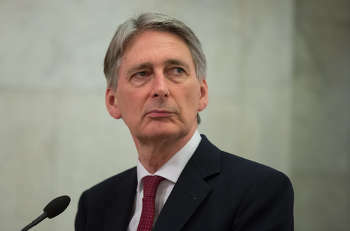 It follows suggestions from chancellor Philip Hammond that infrastructure such as roads and railways could be in for a spending boost in his Autumn Statement, with an emphasis on ‘modest, rapidly deliverable investments’. The campaign group argued that large scale infrastructure projects that require huge capital commitments and take a long time to plan and deliver offer a very slow return on proposed investment and can sometimes be of direct benefit to only a limited number of people. It said a ‘fix it first’ approach would also ‘chime strongly with the public, whose primary experience of transport is of poorly maintained local roads and declining bus services’. CfBT chief executive Stephen Joseph said: ‘We want to see a shift in government policy so that new infrastructure spending focuses on fixing what we already have, especially local roads and railways, and on smaller individual projects or packages of schemes to upgrade local transport and improve local transport services. CfBT pointed out that the nine schemes referred to in the Government’s 2011 National Infrastructure Plan represent a £75bn investment in strategic infrastructure, but ‘are yet to generate any direct benefit. None of the 2011 schemes has yet been completed and five are yet to even start construction’. Increasing investment in the quality and extent of bus services with further rounds of the Green Bus Fund and the Community Minibus Fund.